Benches throughout Wascana Centre can be dedicated to commemorate a milestone, pay tribute to someone or to celebrate the life and works of a loved one. Benches benefit all age groups in providing a resting place along a walking trail or allowing for a place to sit while enjoying Wascana Centre’s natural areas. Benches will be identified with an appropriately engraved plaque upon which the donor may choose to select up to four lines of text with approximately 50 characters per line. The donor may also elect to purchase a second plaque for $300.00 if they wish to add more text to the bench. The cost of dedicating an existing bench is $3,500.00. The cost of erecting a new bench to be dedicated is $5,000.00. A donation period will last 10 years. Within this time, The Provincial Capital Commission will replace, at no cost to the donor, a bench plaque one time if it is damaged or stolen. The cost of any subsequent plaques will be the financial responsibility of the donor. Provincial Capital Commission staff will make every effort to properly maintain the bench to PCC standards. After 10 years the donation is renewable at the current price with the first right of refusal given to the original donor. If the original donor decides not to renew, the bench may be removed or rededicated at any time. Maintaining a viewpoint or vista is not part of the program. 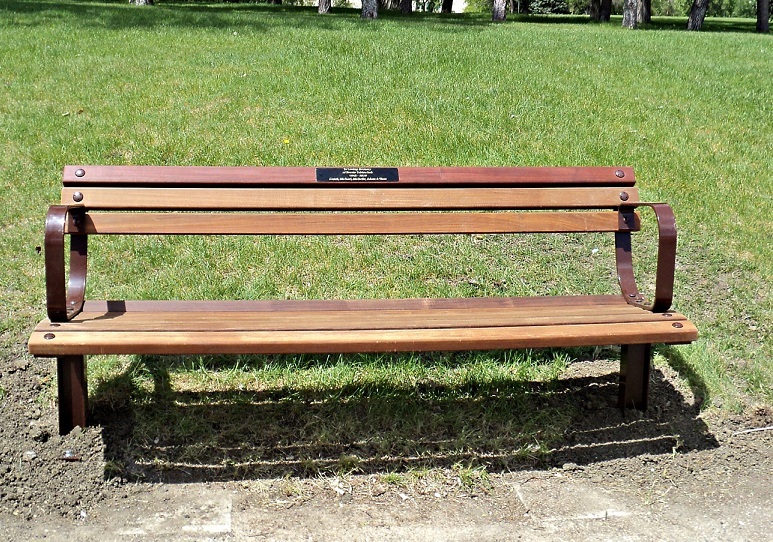 For further information on dedicating a bench, contact The Provincial Capital Commission at 306-522-3661 or by email at wascanainfo@gov.sk.ca. The Commemorative Bench Application form can be found here.